We found 10 episodes of Flushing Transit Authority with the tag “ny mets”. Farewell to #5 - We'll miss you David Wright, and one of us owes you an apology. As the Mets play out the schedule Jay and Will are looking ahead to 2019 and talking about other sports that they used to love. Your post All Star, pre trade deadline Mets update where everyone except Jake gets an F.
The Mets are struggling and so are we. This one takes a turn. There's a lot to talk about when it comes to the Mets and it's all bad. So Jay digs deep into Mets history, looking to find out why the Mets just can't seem to ever get it right. Two months into the season and Will is worried but Jay is the calming voice of reason. Stick around for a special announcement at the end. 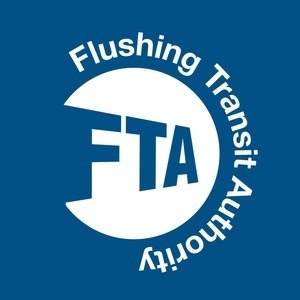 A special presentation from Flushing Transit Authority East. The Mets have cooled down but we are just starting to heat up. We have trade talk. Superstition. We talk about one of the worst things in the game (hint: it's a thing some fans do) and finally we revisit one of the best days in Mets history. Bartolo Colon's presence is felt. Episode 20: The Mets....are GOOD? Our 20th episode. With a new intro and the new 2018 SUPER METS! IT'S TIME FOR METS BASEBALL!!! Jay and Will discuss their hopes for the 2018 Mets and Jay tells a story of a close encounter of the Mets kind. We're super excited about the season!! !